What is up, everybody? Fred Lam here and welcome to our daily huddle episode number 43. Again, welcome to our daily huddle and if you are joining us for the first time, for those of you that never actually been with us for our daily huddle, what this is all about is that every single day, from Monday to Friday, I will be coming on live to actually answer five burning questions. Now I’m not just going to give you a one-word answer. I’m literally going to actually give you and share you an in-depth answer where you could actually learn, based on my experience on running multiple businesses for nearly over a decade. If you want your questions to be featured, all you got to do is simply go to www.FredLam.com/ask . Okay, that is www.fredlam.com/ask. You can ask me anything from how to build a business, how to run traffic, how to actually buy traffic, how to actually drive business for a local business and you have an agency, you can actually ask me questions. I will just simply give you my answer and give you my advice and this is what it’s all about. So it is also giving me an opportunity to basically connect with you guys on a daily basis so you never forget about this Asian looking face Fred Lam over here. Now, before we begin obviously tell me if you guys are excited about our daily huddle every. Just let me know right into the comment box on Facebook or on YouTube right now. I got Carrie Watson saying good morning to me. I got Afaqwa saying, “What’s up, Fred? You are giving great value man.” You are very welcome. Christine said that I’m her hero. Love it! Awesome! and I got a whole bunch of people right now coming on to YouTube. I got Kadeem the introvert said that I’ve been waiting. Justin Rowell set that smash that like button. Love it! Love it! Love it! Now, obviously on Thursdays, I actually come on pretty late. I do come on pretty late only because I do have a “Members Only Webinar” that I give training to every single Thursday so that’s why I have to push back my daily huddle on Thursdays. I do see in my Facebook groups that people were asking where my daily huddle is today. So, right now we’re having our daily huddle. It is still Thursday according to Pacific Standard Time. That’s where I am in Vancouver so I know that for Eastern Time, you guys are basically a day ahead right now only because I’m coming on basically live at pretty late right now, but at the same time it also gives me an opportunity to actually connect with people on the other side of the world like if you’re from UK, France, Germany, Australia, and New Zealand, I think it’s a perfect time for you guys as well. Now before we dive right in, as you guys can see today’s topic – it’s all about how you can actually drop ship high ticket items. When I talk about high ticket items, there is a comparison in dollar figures when it comes to digital publishing and also when it comes to e-commerce. When it comes to digital publishing, obviously high ticket is classified when it is above $500 now when it comes to e-commerce $100 and above this really classified as high ticket items already and here’s the reason why, when it comes to anything that is let’s say around $500 or even over $100 mark, a lot of people rather actually go to a retail store to actually check out the product itself because you obviously need to buy and invest a significant amount of money only to actually get that product. So, you obviously want to touch it, feel it, smell it, play around with it before you actually buy it, right? Unless if you are like a big brand like Apple who just basically make an announcement online and people would just keep putting f5 and refresh the freaking keyboard and the computer just to buy the latest iPhone. That’s a different story because that is a total branding plate. Now here’s the reason why I want to feature this question today it actually been brought up by one of our followers, or my followers I should say, that actually asked me this question. Obviously, I want to give a shout-out to him for actually inspiring me to actually talk about today’s topic and it is by Anton. 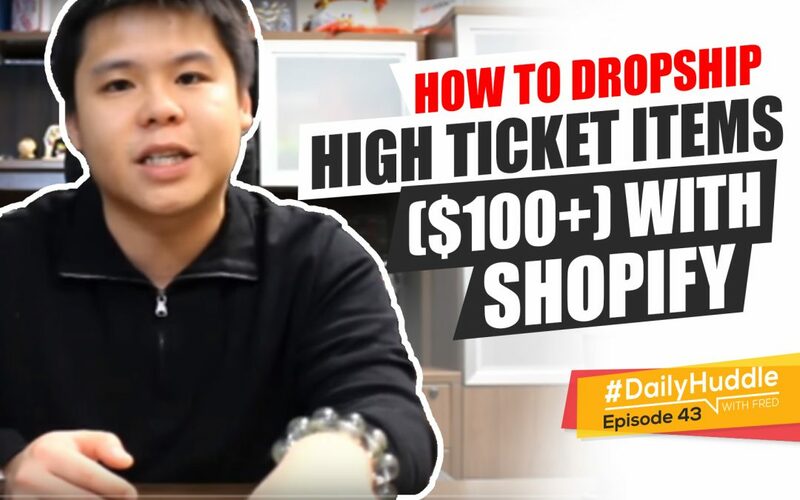 [0:05:10] Question 1: What's you opinion on hight ticket drop shipping vs normal drop shipping? I've seen a couple videos of it and the profit margins look good at $1000 - $4000 + profit per sale. Is it something you do or you would recommend doing? 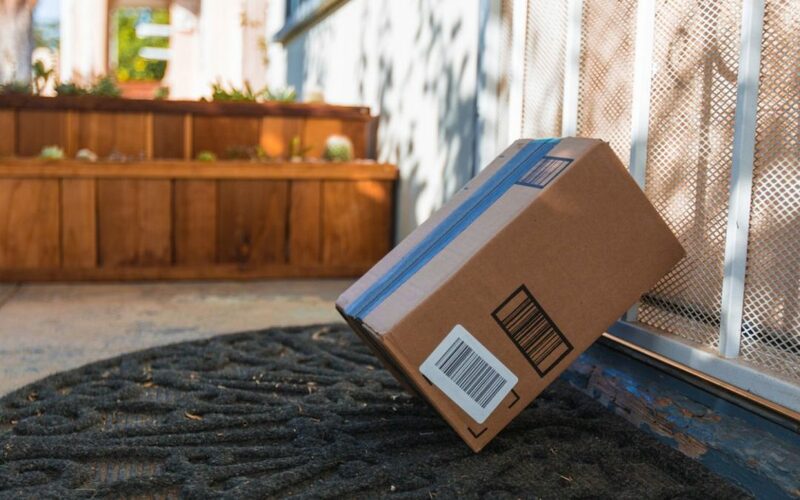 What’s you opinion on hight ticket drop shipping vs normal drop shipping? I’ve seen a couple videos of it and the profit margins look good at $1000 – $4000 + profit per sale. Is it something you do or you would recommend doing? Again, I’m just going to share my feedback with you guys and really walk you through all this. So first thing first, I never sold anything online that is in e-commerce, that is specifically in e-commerce. I never sold anything in my e-commerce store before that what wait sorry let me take a step back. I just remember I did sell high ticket items before and the highest ticket item when it comes to a single product was nearly $1300. For the most for the entry-level product, it was $1,300. Let me share the story behind it and I can tell you flat out, it wasn’t that successful only because it is a hard sell. It’s not easy to actually get a customer from ads directly to buying up over $1000 product, but what we’ve done was that we actually created what we call a customer journey and people come in at a lower price item and then we slowly educate them on buying the ultimate product. Now at the end of the day what happened was that because the cost of the product was very, very expensive, it was a packed-in-it technology product that we were selling. And the manufacturer cannot keep up with the demand that we were giving them and with all the refunds and everything in cancellation, it doesn’t make sense. So, we actually stopped selling it. Giving you basically a perspective that I’ve done it before, it didn’t do that well for me only because of several reasons and one it’s cause of goods the other one is really because the manufacturer was not able to actually produce faster than we sell. So with that being said when it comes to selling like high ticket items, you need to take a step back first you don’t want to instantly start selling items that are over $1000, because you’re like going to the street and asking for a stranger for $1000 right now. It’s very hard for someone actually pulls out their credit card to actually give you $1000. And here’s the truth, a lot of people actually don’t have $1000 in their credit card. So, in order for you to sell and get them to actually swipe that or give you the credit card number for $1000, it’s a little bit hard. Okay, so let me give you that perspective first. Now at the same time, you still do want to sell what we classify as high ticket items in e-commerce which is over $100. Now, I do sell a lot of products that are over $100 and at times, I even sell products in a bundle that cost a consumer over $600. I want to share with you exactly how this is. I will share about the process afterward because I want to talk about acquiring the sale first. All the operation stuff can be talked about right afterward to answer a question between drop shipping normal products and drop shipping high ticket products, I’ll get that covered. When you’re trying to actually sell a product that’s high ticket or even at a medium ticket that is over $60, you have to basically give enough information for the consumer to take the action. So you can’t basically run normal drop shipping like a trip wire product or a product that’s $20 and just simply be giving them a quick video demo of the products and also be giving them bullet points and giving them basically basic information about that products. When it comes to a medium and high ticket product, what you have to do is that you got to basically create what we called a “landing page.” So, we actually have to combine what you learn inside specifically digital publishing into e-commerce to sell a higher ticket product because you have to follow what we call the AIDA formula Attention, Interest, Desire, Action. This AIDA – obviously you need some copy technique involved. Let me show you that for example, let’s say that you have a product that is like wow-over-moon and it’s pretty amazing but it cost you a lot of money. Obviously, you got to basically market up a lot more in order for you to sell. Now, in order for you to sell that product, you’ve got to actually first get the person’s attention. That’s why the AIDA, the first one is Attention, you want to grab the attention and that attention needs to either solve a problem or basically it makes the person’s life a lot easier because that’s what people do. People basically buy things online if it solves a problem especially a high-ticket solves a problem, basically either save the money save time and they want that product. So you need to grab that attention first. 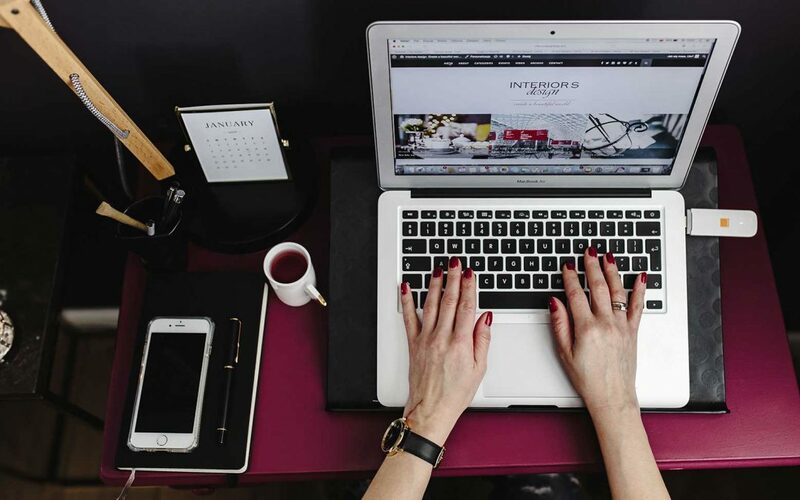 Now, once you grab that attention, you have to start gaining the interest of your products. That’s why the AIDA formula is “AI“- Attention, Interest and then Desire. The desire is where you need to start building the “want.” You want the person to want your product. Again, I actually posted earlier today a post just an image post that talks about people buy based on want, not based on need. For those of you that have been following me, I talked about that a lot – like a lot – that you should be selling to people based on want and not need because if they need it, they’re not going to buy it. Okay if they want it, they will buy it. That’s very, very simple. That’s the psychology of selling. So you have to get the desire, create it, get that person to actually buy. Last but not least the “A “stands for Action. Okay, so the item formula applies to basically selling medium to high ticket items and again it will take me forever to cover every single bits of it, but I just basically want to give you guys a perspective and overview on selling like a higher ticket items. With that being said, the operation side of things is basically the same. You can drop ship it and that’s what I do for all my businesses. I drop ship everything. I don’t actually have that product in a warehouse because I don’t want to take on the risk of investing in a bunch of products and it’s not going to sell. I actually have that on my supplier and on my manufacturer because that’s what they should be doing if they want me to push volume and push a lot of sales for them. With that, the operation side of thing is exactly the same thing – drop ship same customer service, same everything. Here’s the deal though, when it comes to selling, it will be very, very different especially when you come to advertise on Facebook and advertise on Google. You have to actually spend more money to acquire a customer and get data. If you are basically running an ad, you can run a $ 5-day ad. You still can run it but you cannot make a decision in a few days because you’re selling a higher ticket item, right? Let’s say that if you’re selling a product for $100 and you basically mark it up by 4x, your cost is $25, you have $75 margin. That means that theoretically, for your breakeven point, we run $5 a day, they take $75 divided by $5, you have to literally run 15 days of $5 a day campaign to break even. You need a longer time and as a matter of fact, if your still [unclear 0:13:07] a higher ticket item, I actually do not suggest selling or advertising with $5 dollars a day. I totally advise you to actually sell at $20 a day and that would be a bigger number and get you much quicker data. So at the end of the day, it’s really however much you invest or however budget you put in, is, however, fast you actually get your data. Again, let’s say that if you’re trying to sell a tripwire product in two to three days we’re just gonna brick even for you, you will have enough data to know to actually make the decision if that’s going to sell or not. If you’re doing a $20 campaign and you’re selling #47 profit product. Guess what, you run $20 for three days. You can actually get data right away to actually see if you’re going to be in profit or not. It actually works together hand-in-hand and what I normally look at is it whenever I actually run ads not only do I look at the cost per click, now obviously the cost per click is going to be a different factor but then $1 mark is always going to be the Golden Rule okay. It’s always going to be the Golden Rule because it works everything, works hand in hand, right? If you sell a higher ticket item, your conversion rate so however many people goes to your landing page and actually convert into buyers, will drop significantly compared to a lower ticket item because you actually have to put more work to actually convince those people. Again, I know that I may lose some of you but this is how to run a high ticket offer and how to basically run it. Now, here’s the importance though, if you can actually have the ability to actually sell and actually have it to convert, you will have a lot more margin and with more margin it will give you the ability to actually basically go harder or go crazier when it comes to ads. Like I said, you can still use the same thing, but what I’m trying to tell you is that you need to put in more work and effort to actually get medium or high ticket products to actually sell. If you’re like, “You know what, I know about Facebook ads. I get it. I’m doing well with low ticket items” then it’s time for you to actually gain your next skill sets which is basically copywriting. You can actually use copy when it comes to video, video sales letter, sales copy to actually turn those people to buy more expensive items. Okay so that’s what you absolutely wanted to do. Bear that in mind and I really hope that helps you out and again there are definitely several strategies and obviously it really depends how you do it you can go through the route of using an opt-in page to basically get their email address and educate them and slowly actually turn them into acquiring a sale through email after you finish building a relationship with them. 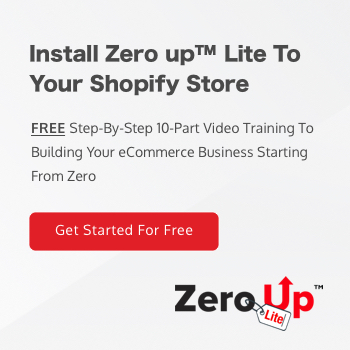 Now here’s one thing – the one important caveat, if you actually download my Zero Up Lite training, so if you actually have my 10-part video training series about e-commerce, how to build a business of Shopify, step by step even covering all the ads and how to analyze your Facebook ads, put in the “me” into the comment box right below on Facebook or if you are on YouTube tell me, put in the “me” on a side of the screen if you actually didn’t see a blow it up. Tell me if you actually have it. If you don’t, give me a “two”, I just want to get a feeling and understanding if you guys have it or not because it is actually very important for me to share what I want to talk about next. I’m just waiting for a delay and then really actually see it. So I’m actually getting a bunch of “twos” which is pretty surprising. 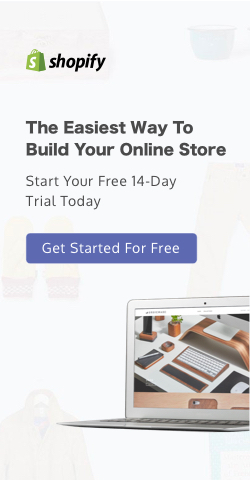 Listen, I have a 10-part video training series on how you can actually build an entire business from scratch using e-commerce. You seriously want to check it out. Go look out or go to my Facebook page or go to my Starting from Zero Facebook group, you will actually find it and the reason why I actually wanted to talk about is because I forgot why I want to talk about it I totally forgot. I blanked out, it’s getting late. It’ll come back to me. Why did I ask you guys that question? Okay, I forgot. It’ll come back to me, but anyways. Yeah, I forgot what it was. I got too excited and I got a lot of people giving me a “two” and I totally forgot, but anyways go download it and when I remember what I was going to say, I will tell you what it is. So moving back into our daily huddle, My apology, I it’s not ADD, it’s just that a lot of things going in my mind. So I totally blanked out for that moment. I got had a complete brain fart I don’t know what happened over there. I hope it comes back to me before we end our daily huddle. [0:18:13] Question 2: If pixel bay is not connected with facebook will that stop sales of an existing ad. somehow it got disconnected and all sales stopped. If pixel bay is not connected with facebook will that stop sales of an existing ad. somehow it got disconnected and all sales stopped. The answer is absolutely NO. It doesn’t stop anything because what we do inside Pixel Bay is to actually create a simple process for you everything is still actually living inside Facebook. But what Pixel Bay does is that it makes your process a lot more simpler and you just click a few buttons and that’s it whereas if you actually do it from Facebook, it will take a lot of time. All the datas are always stored inside your Facebook account. So it doesn’t affect anything if for some reason your Facebook ad account got disconnected with Pixel Bay. All right so I hope that helps you out. Next question is by Michael Jameson. So Michael Jameson I want to see if he is here on YouTube. Michael Jameson is always here in my daily huddle and obviously today is a lot late. I actually came on three hours later so with that being said, I definitely want to see if he’s here. Michael, if you are here, let me know. [0:19:27] Question 3: Is video ads on you-tube better than picture ads? Hi Fred. Great fan of your show! Because of your training videos, I have made and continue to make sales. My question is this, Is video ads on you-tube better than picture ads? Never did a video ad before as I just did your technique training. Your the man Fred! I’m going to call it up. YouTube is going to be the year this year. YouTube is going to be the year where if you actually start investing your time into a YouTube channel and you start investing your knowledge into YouTube ads, it will make a drastic impact in your business, drastic impact and that’s why I’m more freaking right now on YouTube coming on board daily huddle asking you guys to subscribe because I see that YouTube is basically undermined right now. YouTube will take a big ride this year and it doesn’t matter if it’s an e-commerce business, digital publishing business or even a local business. YouTube is really the deal. I have to basically flat-out and let you guys know. The cost per lead that I’m getting right now on YouTube, the cost per sale that I’m getting right now on YouTube is pretty much less than Facebook right now . Okay flat-out let you know about that. In respect to that, obviously YouTube will only allow you to run video ads and you can’t really run a picture ad and I’ve basically saw or heard that people running slideshows are not going to work on YouTube. You really need a video. Video always does well on YouTube now here’s the other thing. A quick feedback for you guys and I covered this before in one of our ask Fred Lam show. Video ads on Facebook do out-perform image ads nowadays. Okay video ads do out-perform image at nowadays and for somewhat reason video ads do have a different reach than your image Ad. I don’t know how Facebook algorithm runs with that but if you actually target the same audience you’ll see a significant difference, in reach when it comes to image versus video. Again we are in the era of like video video video video video, so definitely something that you definitely want to take a look at and invest your time into. As a matter of fact, here’s the beauty when it comes to Facebook ads, video ads you can run slideshow videos, you can use my thumb stopping strategy that I actually learn from Facebook at the Facebook headquarter and those still work at the end of the day, but at the end of the day you can actually do a real video. That’s where the actual gold actually will come in place. So, I hope that helps you out so Anton’s question had been answered. [0:22:30] Question 4: What Email Service Provider do you use or you'd recommend for Shopify (that doesn't break the bank)? What Email Service Provider do you use or you’d recommend for Shopify (that doesn’t break the bank)? By the way, love your daily huddles, keep it up! So great question then Admon. My answer is Sendlane. I’m open and I’m always open about this relationship of me and the CEO and founders of Sendlane. I’m really close friends of Sendlane and now again it’s not really because I’m really close friends with the CEO and the founder of Sendlane that I use them and I endorse them, it’s really because I obviously have been in the industry long enough and tested a lot of different autoresponders and have been getting better deliverability. So more emails getting inbox with Sendlane and Sendlane did create a native integration with Shopify so at the end of the day, it won’t break your bank and it will do all the segmentation for you and you don’t have to worry about connecting and everything, Sendlane has it all and you get a free trial if you use my link at www.zerouplab.com/sendlane, you get a free 14 days account. I’m endorsing Sendlane not because I am friends with them it’s because I use it for all my businesses – all my businesses. I used Sendlane, I’ve been getting better deliverability and they have a lot of automation that a lot of other software companies do not have, so that’s what I would recommend. I love that someone actually just keeps giving me heart symbols on Facebook, like I love it. Can you tell me who it is? I just love it when I see these heart and love just pouring in my video because I actually broadcast a video feed to see all the comments and everything. So love it! [0:24:51] Question 5: I'm creating a Wedding Accessories store. Should I use a .com or .com.au domain name? Is it ok to sell battery, usb or electrical charging products or do you recommend to keep away from these? Hope it makes my name easier for you to pronounce. Love your huddles. I’m in Melbourne Australia and I’m creating a Wedding Accessories store. Should I use a .com or .com.au domain name? Is it ok to sell battery, usb or electrical charging products or do you recommend to keep away from these? Thanks in advance, I’m so so grateful. Here’s the answer Josie. I always try to stick ‘.com’ because you want to actually have a global presence. Having ‘.com.au’ is still okay but when people see oh, it’s from Australia and if anyone hate Australians which i think is very rare, I love Aussies, they’re like one of the nicest people that I actually met and every time I actually meet an Aussie, they actually bring me some wine. I don’t know why they do it. They love to bring me wine from people from Australia. I don’t really drink wine but and not just wine not red wine, I like specifically white wine. Every time I meet an Aussie, like a student of mine, a member of mine or a friend of mine, they’ll always bring me a white wine. I don’t know why but anyways I love Aussies. But anyways, what I’m trying to say is try to go after .com over a .au. So with the .com again it gives you global presence. People are more into .com than a specific country. So I would go .com. Now, when you sell this little kitty cell battery,USB and you electronical charging products, I mean it is fine but I’m not sure how these battery, USB and electrical charging products will tie in with wedding accessories. It’s pretty different market I would have to say, at the end of the day. Obviously, what I do suggest you to do is stay away from it. Focus on wedding accessories. And as a matter of fact, here’s a tip for you Josie and for anyone that is in the wedding market. Inside Facebook, there is a behavior rule that really goes after people who just recently got engaged. Let me speak that again, if you are in the wedding market, you can actually advertise to people that actually put their profile saying that they recently got engaged. So, if that person publicly said, “I’m recently engaged”, guess what? They’re planning for the freaking wedding, right? Here’s the deal, just that I have so many friends around me that is actually getting married and got married so I know about this, all right. When it comes to wedding, all right it is always the female that makes a decision. The male is the person that’s going to be paying. And most of the time, it is the male’s parents that’s going to be paying. So your job is to convince the female to get the husband to actually buy that product – very important because it does make a drastic difference. It does make a drastic difference because obviously you need to tone your message, you need to tone your ad to speaking to a woman because they are the one that actually gained the interest and they are the ones that convinced her husband to actually pull out their freaking credit card. We’re guys – guys when you’re getting married, you know the drill. Make sure you got a fat wallet before you actually propose because that is the deal and my camera didn’t like me saying that but that’s the truth. So make sure you have a flat wallet and it’s always going to be the female. So your goal is to actually go after females that’s it basically putting the profile recently engaged. Here’s the deal I would assume and I can tell you guys will not say they’re recently engaged on Facebook okay. It’s only females that do. So you know that that is your target market. So if you’re speaking to them, guess what speak to the female. Do not speak to the male. The male is only the person that pulls out the credit card. If the female said I need to buy this, the male cannot say no, pretty plan out. Marlyn said, “Please make sure to watch Zuckerberg’s announcement today about two hours ago bait changed the pages.” Yeah I saw the announcement I didn’t really go in depth with it so I don’t know what it’s happening. Mark Zuckerberg loves to actually spend time figuring out how to actually increase more people or staying on your website alright. So anyways tell me what do you guys think about today’s daily huddle? You love it, hate it, got some comment, I was too hard on the male telling them to have a fat wallet before they make sure they get engaged. Let me know right into the comment box, on YouTube and on Facebook and seriously guys make sure you actually tell more people about my name. I want to build up my social media channel. I want to get more people. This year my goal is to see if I can get to like 500 people coming on live in our daily Huddle’s that’s really my goal I’ve been hovering at a 100-ish, 120, 150. So, I want to try to break through and go to 500 and I definitely need your help and need your support. As you guys know, I don’t sell you anything on these stuff. I just give you value, that’s all I do. There’s the funny thing, I actually got a comment on one of my Facebook ad. It was a lady I forgot her name and she said holy crap, I’ve known about Fred for two weeks, been in his daily huddle but I never knew he actually have a product to sell. So anyways, that’s what I do. I’m just here to provide value. I’m not here to sell you guys on a daily basis. I’m just literally giving you guys my knowledge giving you guys my tip and just basically inspiring you guys to actually become an entrepreneur because I think that that is the way to be. If e-commerce it’s not right for you, again my mentor and I, Anik Singal have teamed up and created a free 8-part video training series on how to actually build a business, a digital business using emails I got link above this video on Facebook and right below in the video description on YouTube. There’s a link, it’s called tiny.ie/bootcamp. Make sure you actually grab a seat is 100% free, no money involved, no credit card, no fluff, no cash, just basically walking you guys through step by step on how to build an email business. If it is right for you, then maybe sign up for the webinar and actually go from there. Someone on YouTube basically asked me to shoout-out his name and he say please shout-out my name my name is – his name is actually called top 10 in YouTube, but his name is actually called Abenishk. I hope I pronounced your name. I think that’s what it is. And I got Waterball with me. Lisa, can you change your name to Lisa? But again I guess your name Waterball really makes me remember your name and it’s actually Lisa I still remember your name. I actually remember every single one of you guys. Erlinda is always here with us. I love it. Erlinda is always here with us for all of that. Abenishk said that I almost got his name right. Okay I tried. At least I attempted. Anyways other than that listen that is really it for our daily huddle today. I’m actually doing something pretty unique and amazing but I time is not on my side right now, but hopefully I have it done by early Feb and you guys are going to be blown away on what I invested in to actually continue these training with you guys and I’m not going to spill the bean a little. I can tell you one thing, I invest nearly $20,000 for this. It’s basically sharing with you guys more knowledge, more stuff and that’s all I can say for now, but I may be showing pieces here and there when everything starts to come into my office. So it’s going to be something that will blow you guys away. Other than that, listen make sure you like this video, share it, tag a friend, do whatever, get them to actually come on and listen to Fred Lam the little Asian guy who was just basically here to provide value. If you guys have any questions, again go to www.FredLam.com/askand feel free to put in whatever questions you want, don’t ask about my age because you will never guess it right. It would be very hard for you to guess right. But at the end of the day, if you have anything that you’re stuck in your business or whatsoever, let me know. Again, if you’re watching this, let me know in the comment box right below what you guys think about this video you like it, hate it, dislike it, got some feedback, let me know and I would love to actually listen from you guys and basically perfect our daily huddle. Other than that, I look forward on seeing you guys tomorrow in our next daily huddle. I’ll see you guys soon. Bye!